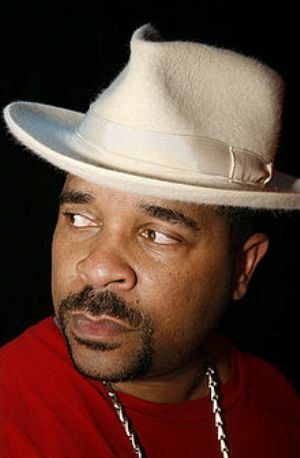 Sir Mix-a-Lot is the legendary rapper out of Seattle, WA. The founder of the Nastymix record label, he debuted in 1988 with Swass . His first hit, released in 1987, was the single “Posse on Broadway,” whose title referred to a street in Seattle’s Capitol Hill district. The Godzilla remix of “Posse on Broadway” contained a sample from David Bowie’s 1975 hit “Fame,” but neither the album version nor the original seven-inch edit version (which was used for the video) used the Bowie sample. Swass, his debut album, was released in 1988, with two other singles: “Square-Dance Rap” and a hip hop cover of the Black Sabbath song “Iron Man” backed by the band Metal Church. MTV aired the video for “Baby Got Back” only during evening hours because of its sexual nature. In 1993, Sir Mix-a-Lot collaborated with Seattle-based grunge group Mudhoney for the song “Freak Momma” on the Judgment Night soundtrack. Sir Mix-a-Lot has been a frequent guest on Life Elsewhere offering his well-considered opinions on everything from racism to gun control.